Welfare Visit – Roy Ferguson 22-4-2015. 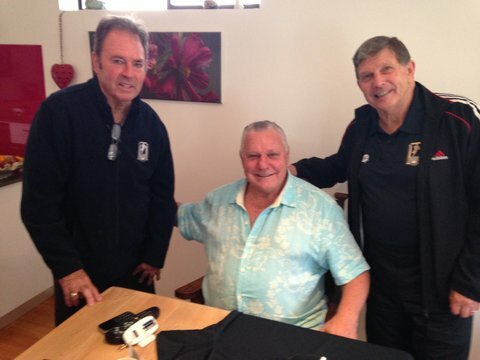 Mark Shulman, Men of League Welfare Officers Warren Thompson, Alan Webb and John Peard visited former Western Suburbs and St. George Centre Roy Ferguson at his home in Yowie Bay on Wednesday 22nd April, 2015. 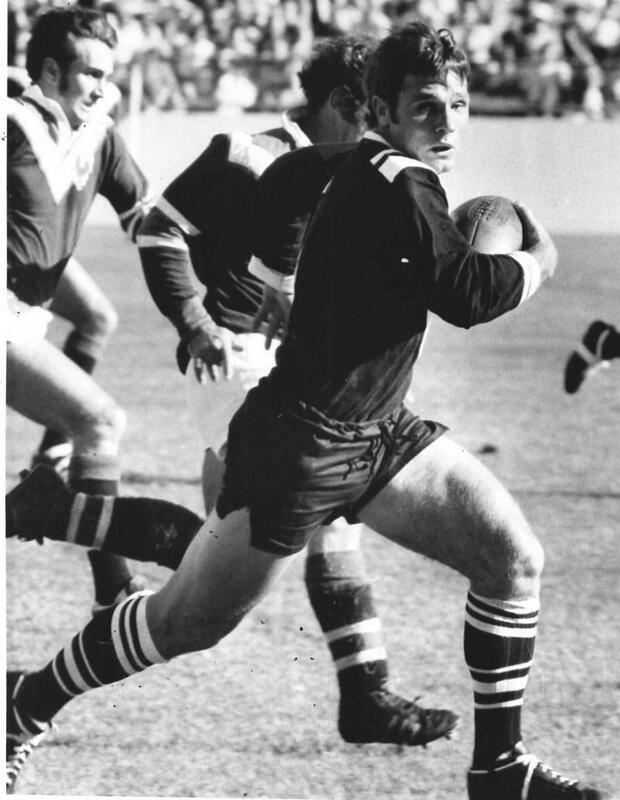 Roy was originally from Wyong on the NSW Central Coast and came to Sydney as a 17 year old and originally trialled with South Sydney he then had a trial with Wests and was graded with that club as a 17 year old in 1963. 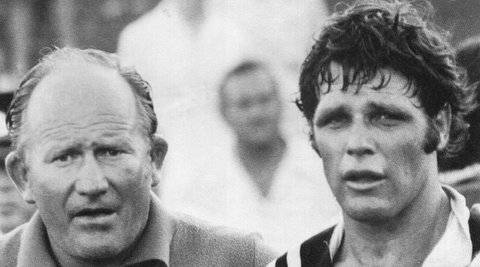 Wests coach Ron Watson and Roy Ferguson in 1970. 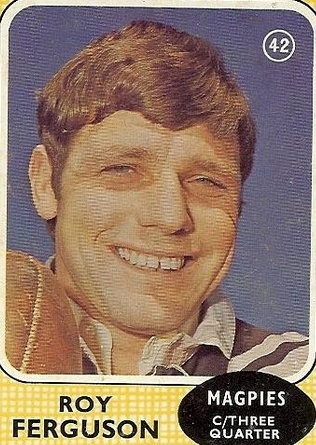 He played First Grade for Wests 1964-1971 being Captain for two years. 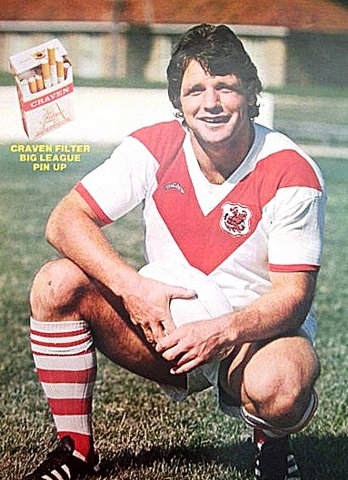 In 1972 Roy signed with St. George and played with that club until 1976. Roy in the St George colors. During his working life Roy was a Property Valuer with Department of Main Roads and also had a Brewery truck and Newsagency. In late 2013 Roy had a stroke, he has short term memory problems. Many tries were scored and tackles made during our visit with Roy. He was presented with a Men of League Polo shirt and cap. for visiting an Old Magpie. Carl Ross Roy Don Malone. 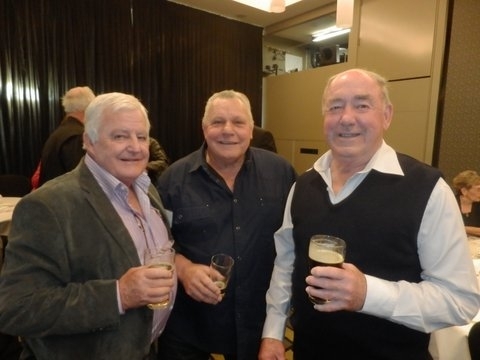 Photo taken in 2014 at an Pratten Park Magpies Function.